Solo and duo recordings from 2007-08. All music is improvised in real time with no overdubbings. dives to the improvising worlds of sounds, rhytms and words. The narration of the his lyrical-orchestration drumwork is a far reaching project to the problematics of esthetics sublim: to the semantics, feelings and visions beyond the words. Godot works with solo projects and in different duo-and trio environments. Drum-artist Otzir Godot has received classical education in percussion. However his main aim is to expand the creative possibilities of the drum set. Improvising has always been the key word to Godot’s world. The path has gone from classical music trough various rock bands, world music and jazz towards to free areas of expression. Together with drums, marimba, gongs and ethnic percussion he provides lyrical landscapes of sounds, rhytms and words. In recent years Godot has been in close co-operation with modern dance professionals and theatre work. Nowadays Godot is deeply involved with trio KAN together with butoh dancer Aki Suzuki and shakuhachi / khaen mouth organ player Jone Takamäki as well as free improvising band ZOGA with violin player Mikko-Ville Luolajan-Mikkola and singer Reija Lang. Free improvisation is an art form. It makes a living thing with sounds, moods, rhytms and melodies. It’s listening and reacting. Every move is important, responsible. That’s also the basic of esthetic and language of music on KAS KAS. The main point in music here is that playing creates the object. It doesn’t remind it or trying to be same kind of the object. For example: let’s play the sun itself not something that reminds the sun or picture of it. That’s poetry. KAS KAS is poets’ playing. It is lyrical statement for esthetics of sublime: for the semantics, feelings and visions beyond the words. It’s sharing pure emotions and dynamic energy. KAS KAS is drum poet Otzir Godot’s solo work. On producing the main aim was to create very natural beautiful sound in good room. Any studio wizards were not needed. The original wooden tone of acoustic drum set and natural breath of saxophone was a starting point of this production. Another important factor was that this is real time music without any overdubbing or sound manipulating. Not too many sounds, no effects, no tricks. Only real meating, real ritual with audience. Born in the snowlights of North KAS KAS is route to landscapes of silence, mystic and power. Invitation to nordic pow wow. KAS KAS contains eleven completely improvised tracks. Tracks 2: And the tree and 4: Well well, Begemot are short ethnic percussion poems while 6: Kota-kotoo and 10: Lullaby are improvised solo music for drum set . In five lyrical and powerful tracks Otzir plays duo with Iikka Kahri (saxophones) towards more melodical approach to free improvisation: 1: At lost, 3: Espoo-spirit, 7: Swimming masks, 9: Kiehkerö and 11: A Thought. 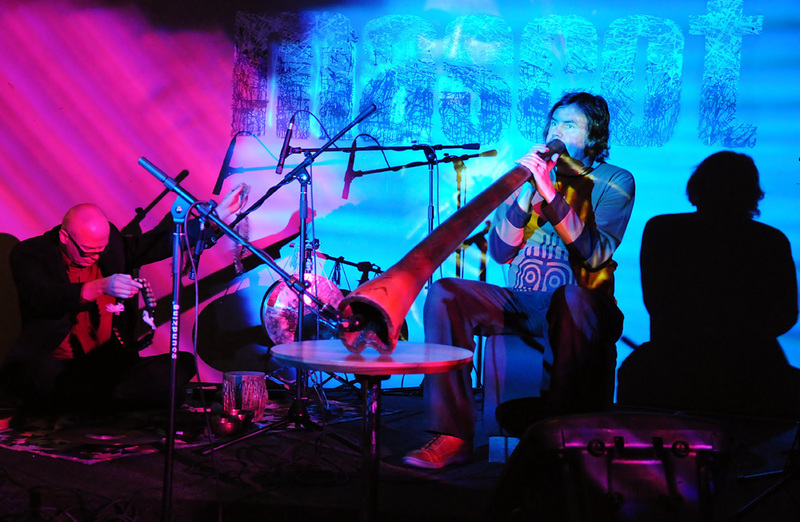 Duos with Robin DeWan (didgeridoo) complete the acoustik journey of KAS KAS (4: Ground frost, Wowoka, 8: Trace). Total duration of CD: 53:22.